Oat is a good source of soluble fibre and is therefore highly recommended for people with high cholesterol and high blood pressure, says Madelaine Terrier, a nutritionist at the Heart Foundation in Kingston. 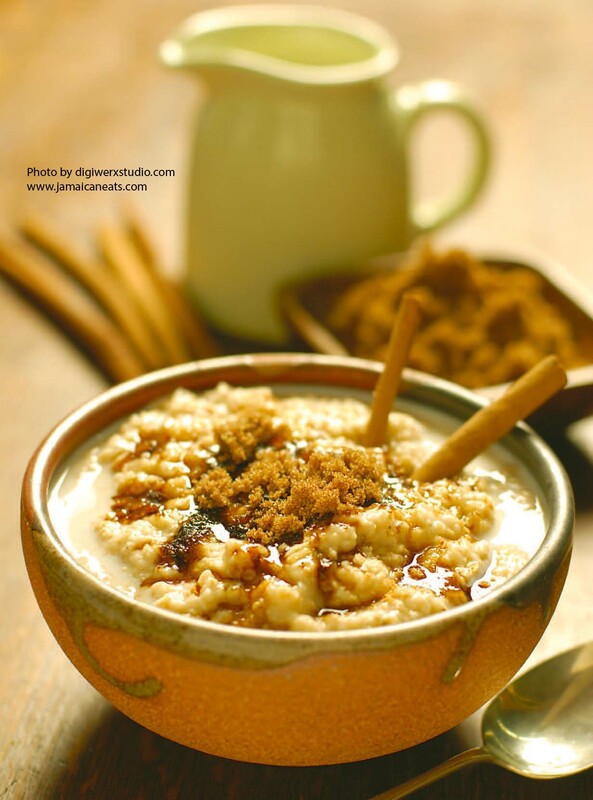 Plus, oat is a good source of B vitamins and is low on the glycemic index. This means it is slowly absorbed into the bloodstream, allowing the blood sugar level to remain stable. For diabetics this is a critical factor. Bring water, evaporated and condensed milk to boil and add oatmeal. Reduce the heat and let simmer for about 15 minutes. Add vanilla, cinnamon, and sugar. Sprinkle grated nutmeg on top.